Over the past several decades, there has been a major push to provide uniform and harmonised intellectual property coverage worldwide. To date, however, there remain significant differences and gaps in intellectual property coverage globally. 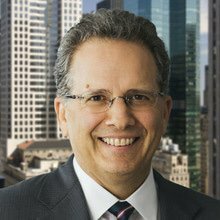 As commerce increasingly becomes focused on international trade rather than individual countries, companies and clients must respond by thinking globally while also understanding the differences that remain between jurisdictions. While jurisdictional differences can be anticipated and addressed, these differences are further magnified by the geopolitical turmoil that persists worldwide. A prime example is the United Kingdom’s Brexit vote, which initially appeared to doom the prospects of establishing a Unified Patent Court in Europe. Those initial fears, however, may have been premature as the United Kingdom is now in a position to fully ratify the treaty establishing the unified court. Another example is President Trump in the United States. While his unorthodox governing style has left many policies of the United States government in turmoil, he has been successful in appointing a new director of the Patent Office and apparently is taking a tougher stand on the misuse of US intellectual property rights, including by placing tariffs on goods subjected to the forced transfer of US intellectual property to Chinese firms. On the other hand, President Trump has failed to fill many key diplomatic posts, weakening efforts at further worldwide cooperation on intellectual property matters. Finally, as China continues to grow its economy, its intellectual property laws have become better defined and more reliable. 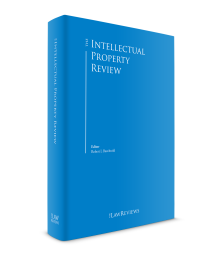 To aid practitioners who are navigating this ever changing landscape of global intellectual property, we now present the seventh edition of The Intellectual Property Review. In this seventh edition, we present 25 chapters that provide an overview of the forms of intellectual property coverage available in each particular jurisdiction, along with an update of its most recent developments. Each chapter is written and assembled by leading practitioners in that jurisdiction. While all involved have striven to make this review both accurate and comprehensive, we must note that it is necessarily a summary and overview, and we strongly recommend that the reader seek the advice of experienced advisers for any specific intellectual property matter. Contact information for the authors of each chapter is provided at the end of this review.